The Freight Transport Association's Logistics Carbon Reduction Scheme (LCRS) has received the backing of the Committee on Climate Change (CCC) in its approach to cutting emissions across the UK transport sector. Published on Tuesday (June 30th), the CCC has released a new report that recommends the government now looks towards projects like LCRS for the lessons that can be learnt in delivering effective emissions management systems across industry, not simply in logistics. FTA head of urban logistics Christopher Snelling stated: "We have discussed our work with the CCC on many occasions and it is gratifying to have the approach of the LCRS supported in this way. At present, LCRS has more than 100 members and represents the efforts to reduce the environmental impact of over 77,000 commercial vehicles being operated on the roads each day. Launched in 2010, the scheme has been recognised by the Department for Transport for its effectiveness in helping operators to better manage their fleet emissions output, while also providing an industry-wide barometer of best practice in this area. 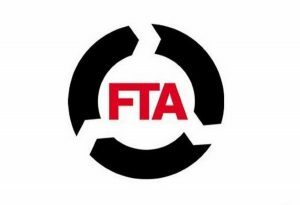 Helping many smaller operators to now embrace the measures that are becoming standardised across their larger counterparts through LCRS will be the next challenge, but it is one the FTA believes can and will be met.